Today I’m continuing my exploration of Poland by tasting the food of Warsaw. But first some history. The area covered by modern Warsaw has been inhabited for at least 1,400 years. The city has had rather a tumultuous history from the Great Northern War of 1702 to occupation and uprising during World War II and a long period of communist rule. After the Second World War, when the Nazis slaughtered hundreds of thousands of Warsaw Jews, they literally demolished the city. In 1945 most of Warsaw lay in ruins. The Soviets proclaimed the Polish People’s Republic and the city was rebuilt in a modern style. All this means that Warsaw has an amazingly diverse architecture. From the charm and colour of the old town to the squareness and rather grand greyness of the Communist era – those communists certainly built things big! Widespread anger and unrest hit Poland in the early 1980s with protests over food shortages and the prices of goods and the trade union Solidarity was established. By early 1989 an agreement was made to hold elections and an anti-communist government was established. Poland entered the European Union in 2004 and is now in a period of prosperity. You can see this in Warsaw’s wide streets, bustling restaurant life and new, shiny financial district. It’s a great city to roam – with lots of green spaces, good shopping and a mind-boggling array of eateries in what is a relatively small area. To help with the decision making, I decided to start my Polish culinary quest by joining Eat Polska for a food tour. A fabulous way to explore the city as well as tasting plenty of traditional dishes and learning their history. We visited four establishments and tasted a real variety of dishes. There was a good walk between most of the stops which was great as I really did discover more about the city while also walking off some of those calories. 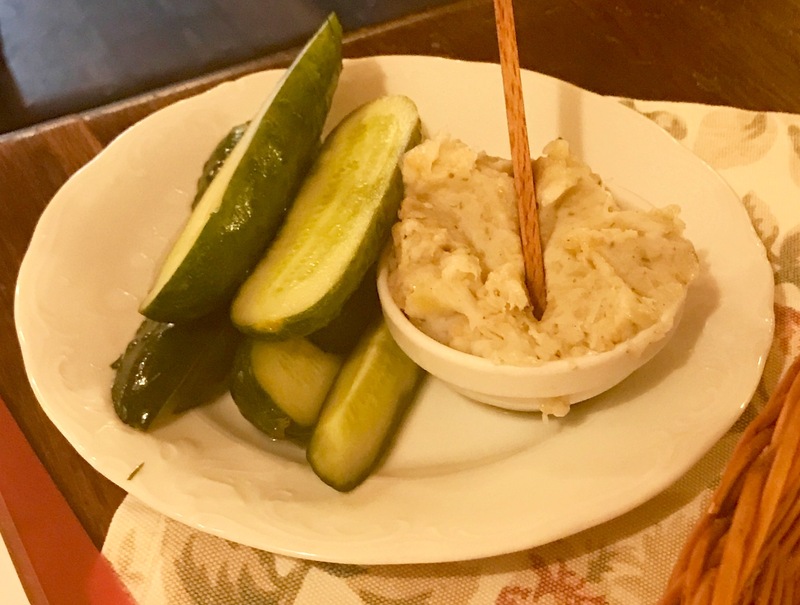 Our first stop was a cosy, traditional Polish place – the sort of place I could see myself settling down for a lovely long lunch. I’d seen this dish on several menus already in my short time in Warsaw but hadn’t had the courage to order it. It’s delicious! Bread served with lard and fermented gherkin and a chilled shot of local vodka which we were told to “scull”. 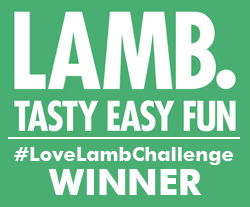 This is a match made in heaven – nothing complicated but somehow sublimely tasty with a lovely mix of textures. My mouth’s actually watering remembering it. 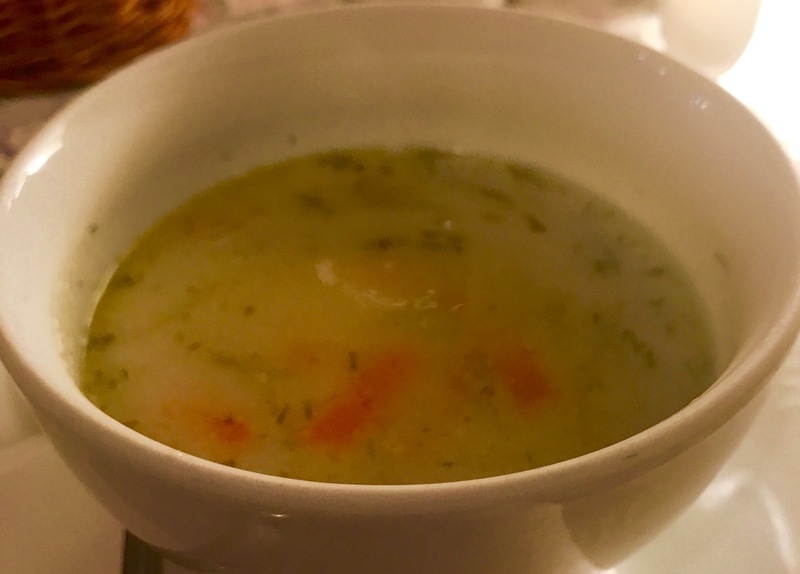 There’s a lot of soup enjoyed in Polish cuisine. We tasted the red borscht which is a clear, beautifully sweet beetroot soup served with uszko dumping. It’s traditionally served on Christmas Eve, its vibrant pinkness perfect for a celebration. 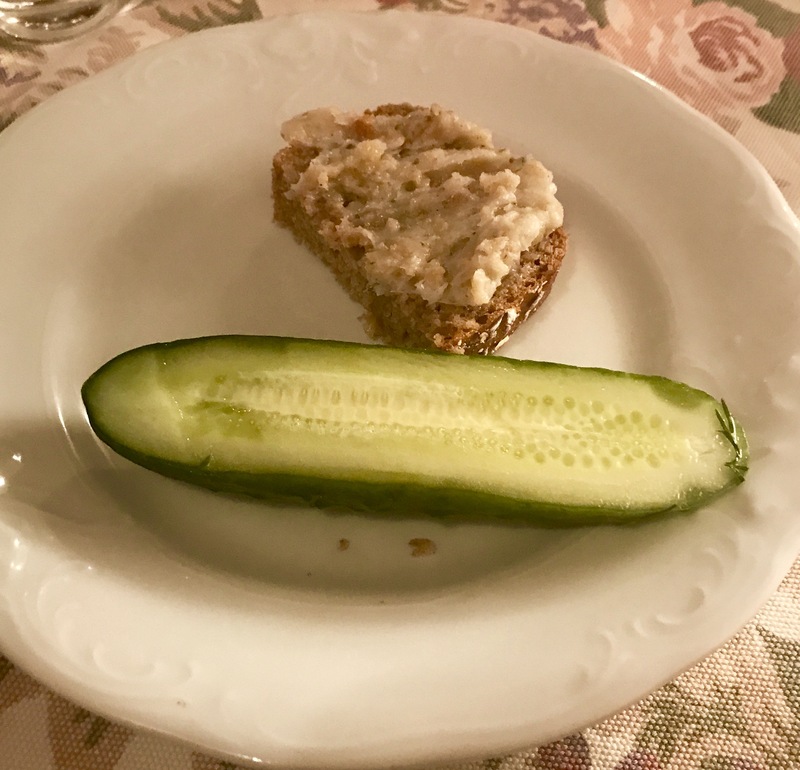 We also tasted the cucumber soup – made with grated sour pickled cucumbers and potato and served hot which was unexpected and also delicious. Solec 44 is a trendy gastro-pub sort of place in an up-and-coming area of the city. I loved the modern, minimalist interior and the shelves containing huge bottles of pickled everything and a wide selection of board games. We were there to sample a meat selection. Sausages are huge in Poland – actually, they’re normal size but there’s a massive range of them to try. And very good they all are too. Quality cheeses are more of a recent development and today we tucked into a great charcuterie board. 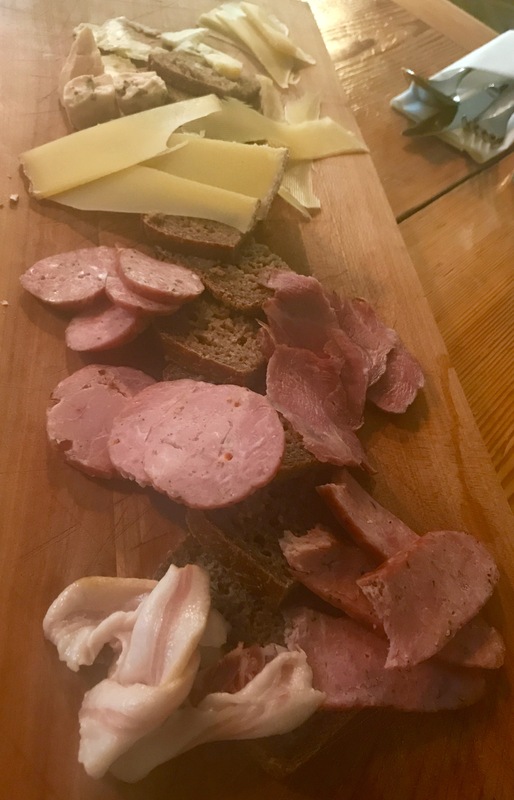 We tried three types of sausage, smoked fatback and four types of cheese. All very tasty, especially the pieprzowka (black pepper sausage). Time for a meander back towards the centre of the city and Bibenda which serves a mix of traditional and modern polish dishes. Pork is very popular and served in many, many ways. 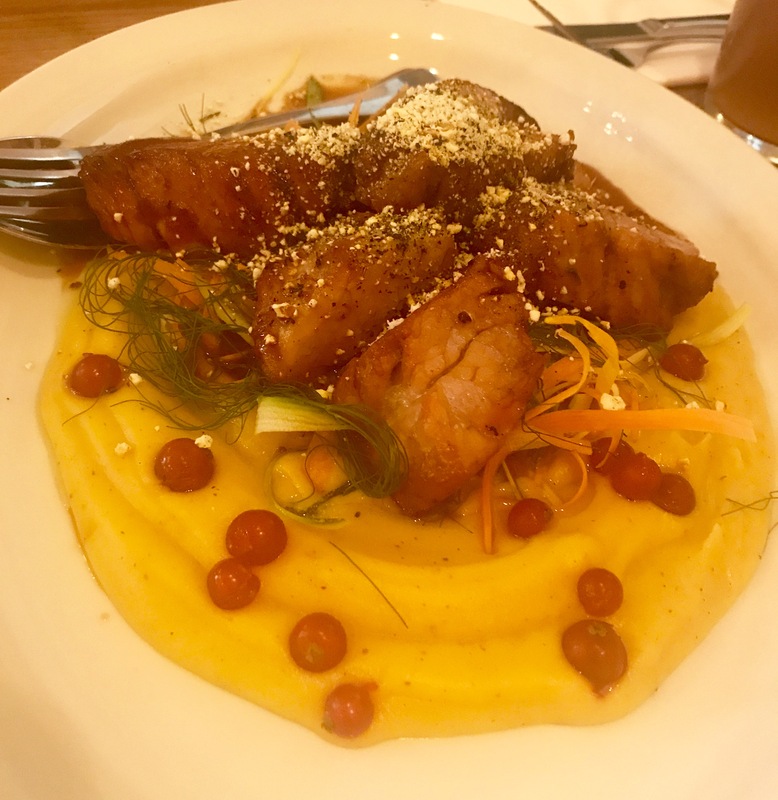 Today’s tenderloin was cooked with a cinnamon mustard glaze, lemon fennel puree, carrot, coriander, orange zest, cinnamon popcorn and mint powder. The meat was so packed with flavour and all the elements perfectly complemented each other. 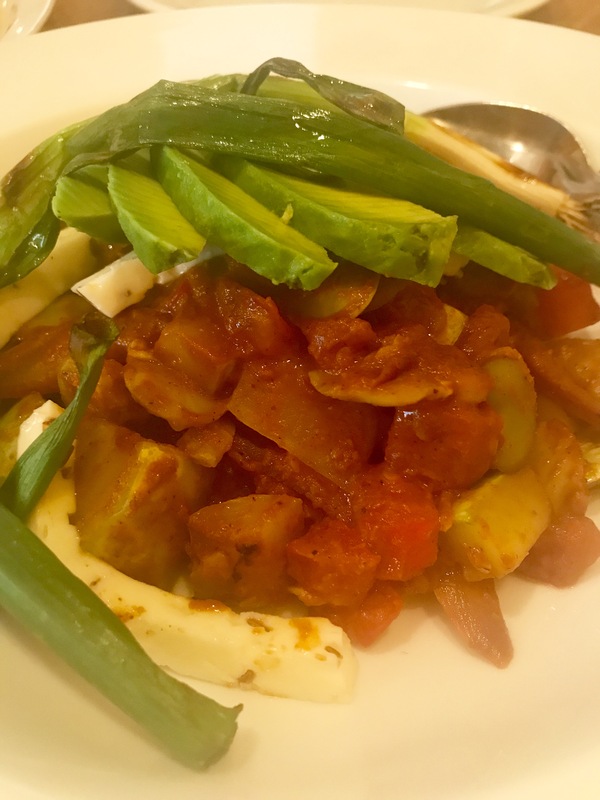 And then there was this vegetarian dish made of broad beans, zucchini, tomato, onion, garlic, spicy mole sauce, avocado, Korycinski cheese and grilled spring onions. Sort of like an exotic kind of ratatouille topped with loads of creamy avo. The place also has a fabulous cocktail list and serves a wide range of beers. You could certainly linger. Wedel is a family business dating back to the 1890s and it sells chocolate in many shapes and forms. There’s literally chocolate in the air. And today we were sampling their legendary bittersweet drinking chocolate. 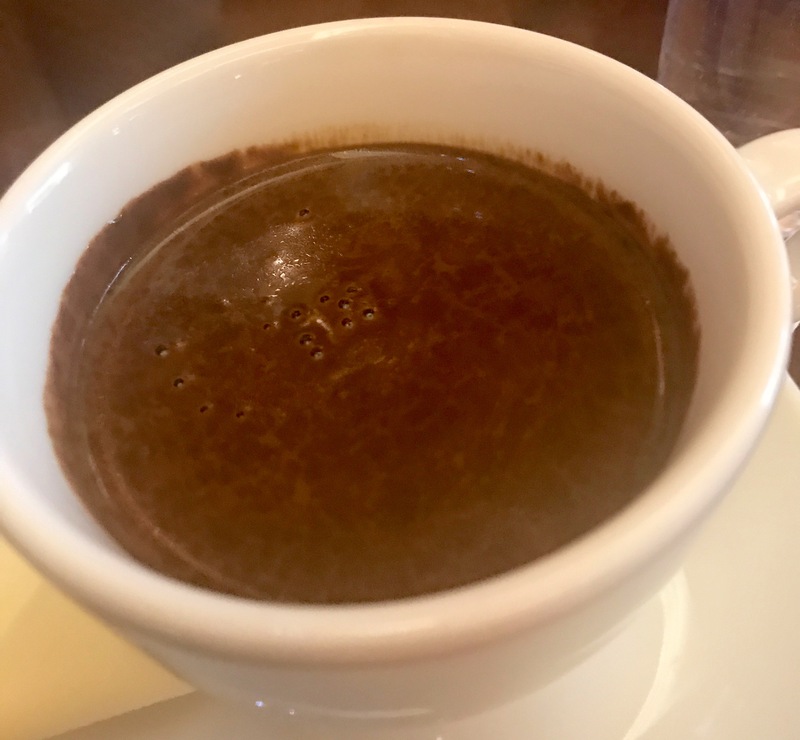 Somewhere between milk chocolate and dark chocolate on the tasting scale, the luscious conception was thick, rich and sweet – one of the most indulgent drinks I’ve ever had. And what a beautiful shop – seriously, I challenge anyone to walk out without buying something. 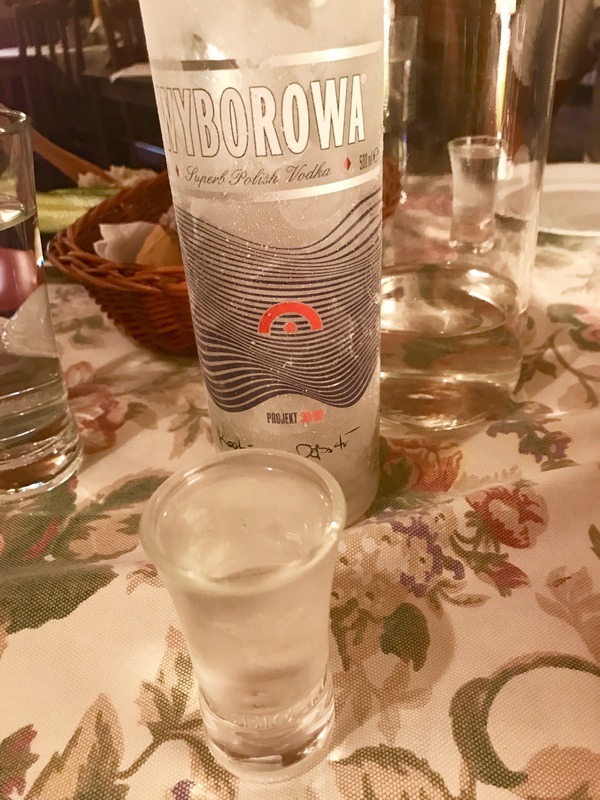 The Eat Polska Food Tour was a wonderful way to learn more about Polish food – something I had limited knowledge of – and find my bearings in the country’s capital. Our guide Eliza was so knowledgeable – not only about the food but also the complicated history of her country. A really fun and educational way to spend an afternoon. Oh, and tasty, too. I loved Warsaw’s Old Town with its colourful ancient buildings, cobbled streets and opportunities for al fresco drinking and dining. The beautiful main square has a couple of restaurants so on our first lunch we went in to Krolewski. I’m guessing this is one of the places all the tourists eat – something of an obvious choice. But we didn’t regret it, the food was lovely and the service great. And I did love sitting in the mains square. 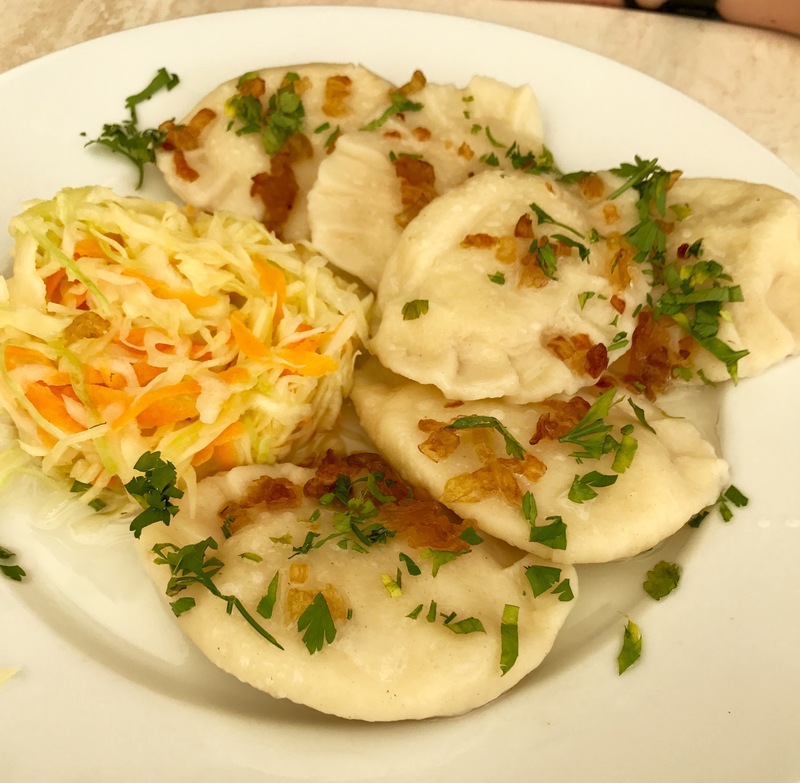 The menu offers all those traditional Polish dishes that you’ve read about including a range of classic soups, duck, pork and beef dishes and those little Polish bundles – pierogi (dumplings). You can even get all of the meats on one plate called a Royal Platter – literally a tower of chops, steaks and sausages. The Poles are certainly somewhat carnivorous. My first taste of pierogi were these Russian-style dumplings stuffed with cheese, potato and fried onion. Amazingly tasty little bundles. I’m going to have to find somewhere in London to get my pierogi fix. 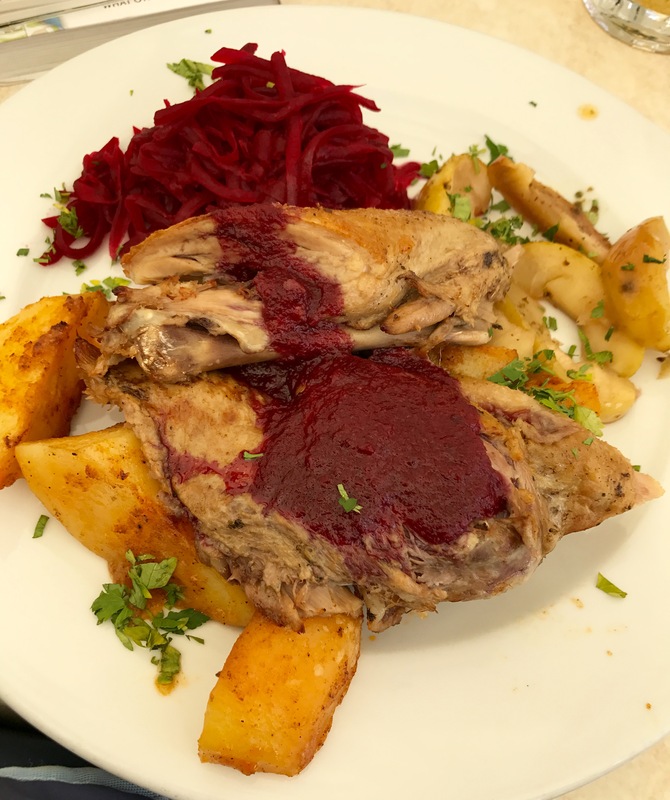 Duck is also a staple and we tucked into the Polish-style roasted duck with apples served in cherry sauce with potatoes and beetroot. I love beetroot but even if you don’t, a trip to Poland will convert you – they know how to do beetroot here. The duck was flavoursome and moist, and the cherry sauce surprisingly zesty, served with perfectly cooked potatoes. A hearty dish for sure. Like a lot of Polish cuisine – you’re not going to go hungry that’s for sure. 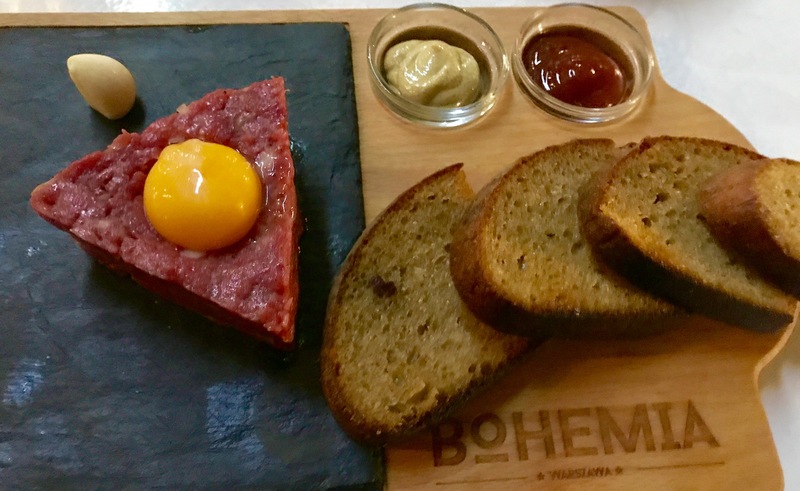 Just across the road from our hotel was a lovely little spot called Bohemia. The perfect choice for a late dinner after our evening tour of the city. Steak tartare crops up on many a Polish menu and as it’s one of my favourite dishes I had to go for it. Love the presentation and the addition of a fresh garlic clove and enjoyed mixing it up to create the right flavour just for me. There’s plenty of beer to savour and Poland has a flourishing craft beer scene – there are around a hundred breweries in Poland. 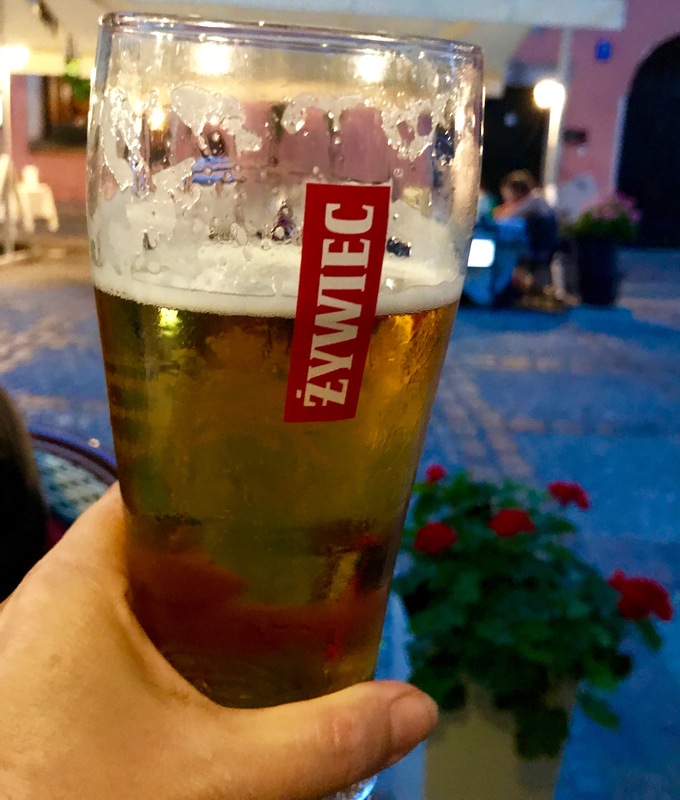 The three most popular local beers are Zywiec, Okoum and Tyskie. I became partial to a chilled Zywiec. There are plenty of options for beer tasting in the beautiful streets of the Old Town. 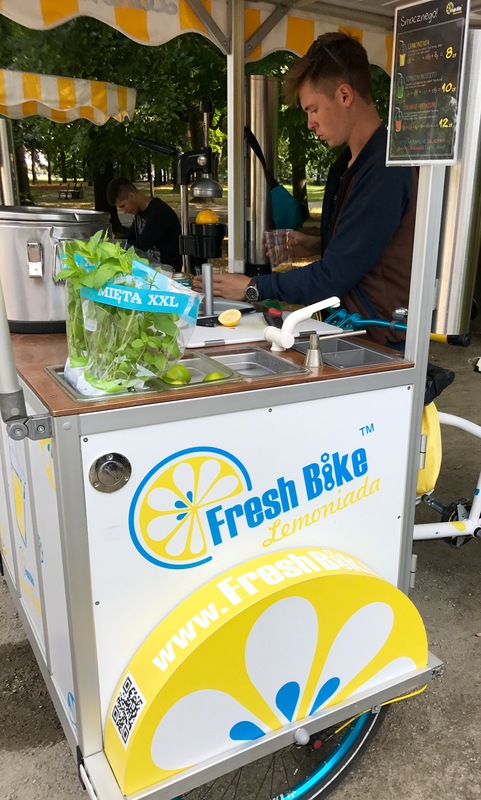 There are lemonade carts dotted around the city and fresh lemonade is sold all over. They look cute but the lemonade we tried from the cart was a little insipid with the juice of half a lemon, water and a spoonful of sugar. Shop-bought lemonade seemed to have more flavour with extra juice and fresh herbs added. All very refreshing either way. We also enjoyed coffee and a light breakfast at to Lubie cafe, again in the Old Town. 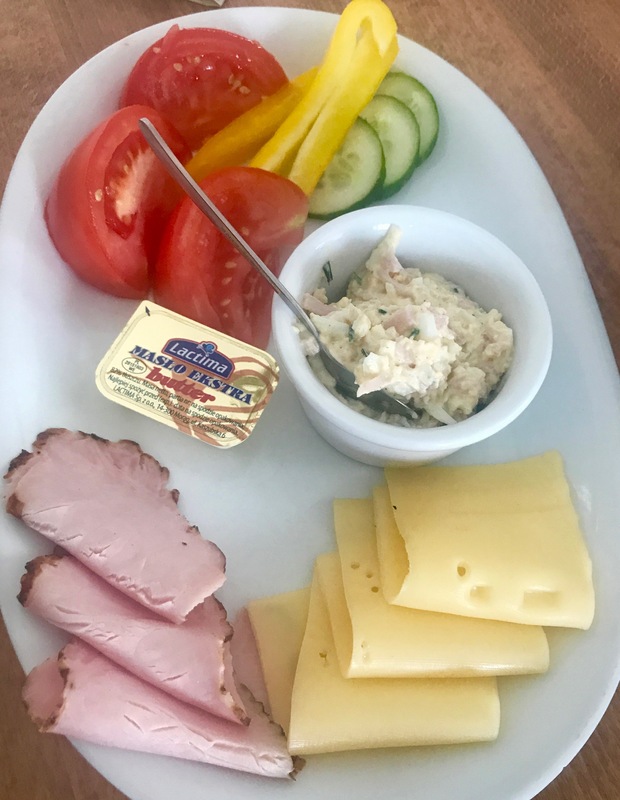 My Local Breakfast included smoked cold meat, cheese, a tasty bowl of ham and egg spread and tomatoes, cucumbers and peppers served with bread rolls. They also had an extensive tea menu and lovely coffee. We stayed at the Westin Warsaw. It was situated about a 20-minute walk from the main sights but I do like a bit of a meander, so that suited me. The rooms were spacious and comfortable with good mini bar and tea and coffee facilities. And the service was fantastic with plenty of help organising tours and recommending the best options. Thank you Alice. I really enjoyed my time in Warsaw and was surprised at how many restaurants there were of many different varieties. Bubbles Bar sounds amazing, I will have to go back and try it.